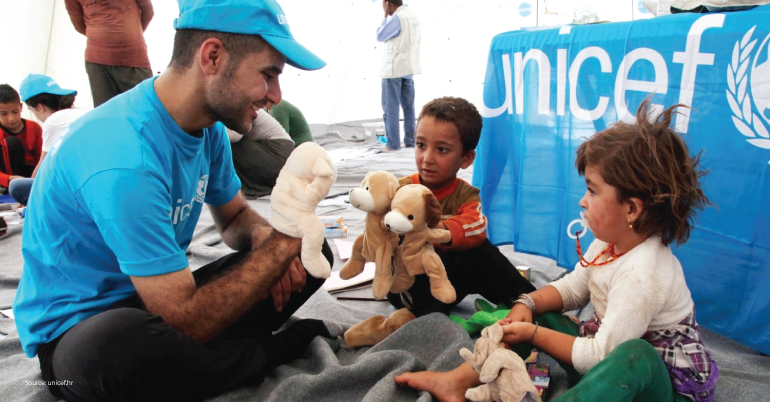 Apply for a 3 to 6 months Internship at UNICEF Evaluation Office in New York. UNICEFworks in some of the world’s toughest places, to reach the world’s most disadvantaged children. To save their lives. To defend their rights. To help them fulfill their potential. Across 190 countries and territories, they work for every child, everywhere, every day, to build a better world for everyone. And UNICEF never give up. The United Nations Children’s Fund (UNICEF) has been advocating for women and children for more than 60 years. The work in this area is supported and integrated across several divisions at UNICEF, including the Evaluation Office. The UNICEF Evaluation Office supports the organization’s 135+ country offices in finding solutions for the world’s most vulnerable children. The Office conducts strategic, thematic, programmatic and country level evaluations. It assures the quality and use of UNICEF evaluations by establishing norms, standards and guidelines and by knowledge sharing and networking. The Office’s new unit, ‘Innovation, Learning and Uptake (ILU)’ is dedicated to enhancing the use and application of UNICEF evaluation’s findings and recommendations through adopting and applying new innovations. It engages with other UNICEF divisions that are testing and scaling new partnerships, technologies and collaborations in some of the world’s most difficult operating environments. By doing so, UNICEF plays a key role in shaping the policy and practice of evaluation. This internship is an opportunity for a graduate student to create innovatively designed products in a UN agency that is present in more than 135+ countries. Under the supervision of the Innovation Specialist, the intern will support specific tasks related to evaluation review, knowledge management, publication and communication of the Innovation, Learning and Uptake (ILU) Unit in Evaluation Office. Providing overall support to the Innovation, Learning and Uptake Unit. Selected candidates will receive a monthly stipend (unless already in receipt of any support for the internship from a third party). Be enrolled in an undergraduate, graduate or PhD programme, majoring in Communication Arts and Writing; Web Design, Graphic Design, Digital Graphics, Illustration, New Media Design and Imaging; Media Arts and Technology, Interactive Development; Film and Animation, or related field, or have graduated within the past two years. Applicants must be at least 18 years old. Have excellent or very good academic performance as demonstrated by recent university or institution records. Have strong competencies in using Microsoft Office Suite tools (Excel, PowerPoint, Publisher, Access, Word) with particular skills in Excel spreadsheets and layout in Publisher. Be proficient in main graphic design and photo editing software (Adobe Illustrator, InDesign or Photoshop). Be able to convert complex and abstract ideas into simple visual concepts such as infographics. Have excellent communication skills (writing and editing). Be able to compile and write draft Evaluation Meta-Analysis reports. Have strong organizational skills and ability to multi-task. Be detail-oriented, able to identify anomalies in data and information, problem-solve and able to pitch creative ideas or solutions. Have no immediate relatives (e.g. father, mother, brother, sister) working in any UNICEF office. Have no other relatives in the line of authority which the intern will report to. Individuals must have proof of medical insurance covering the time and location of their internship. Individuals must fund their own travel and living expenses. Individuals are responsible for arranging any visa or immigration requirements.